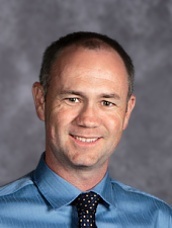 My name is Steve Prahcharov and I am the Co-founder and Principal of Scottsdale Country Day School. I am in my 19th year of education having started my career in England. I have a Masters degree in Educational Administration and have worked as a School Principal for the last 11 years. I love my job and am extremely fortunate to be in a position where I can help children and see them grow each and every day. I have been married to my wife Kathy for 13 years. We have 9 year old twins, and a 7 year old boy. Soccer is a passion of mine and after playing semi-professional in England for seven years, I then coached soccer for nine years. I love to play golf whenever I get the chance and have been lucky enough to have achieved a hole in one! I also enjoy traveling and so far have visited 23 different countries so far. My favorite destination however is here in the good old USA, Kauai! Scottsdale Country Day School is a wonderful school and one which has a rigorous academics and a great variety of enrichment programs. I invite you to join our Scottsdale Country Day School family! Please contact me at 480-452-5777 should you have any questions about our school or email me at steve@scdsaz.com.